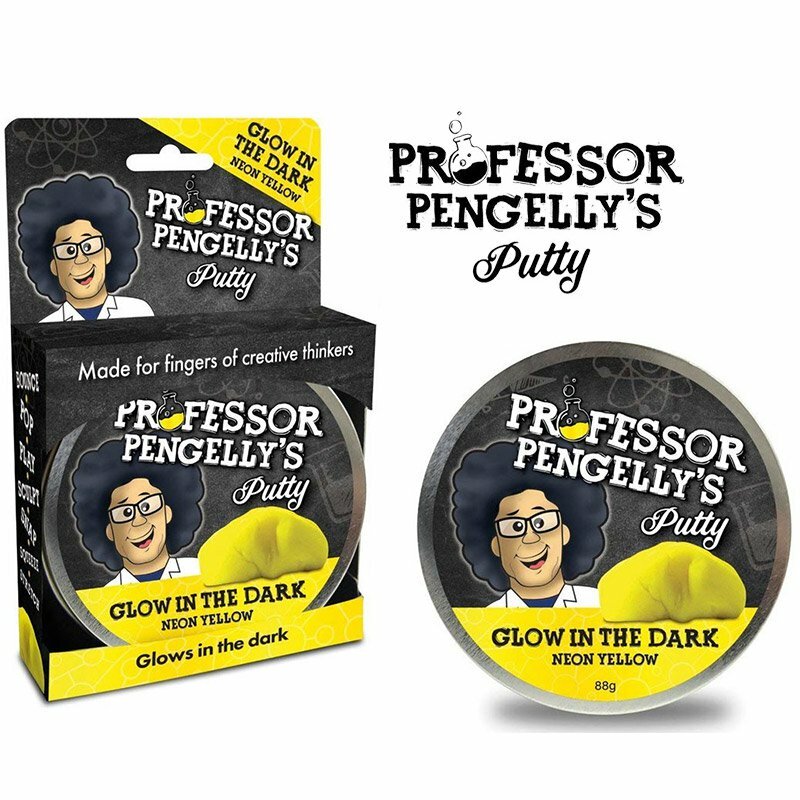 This Putty Glow in the Dark Neon Yellow by Professor Pengelly is the perfect plasticine putty to poke and prod into the preferred position. Now that the alliteration is out of the way These modelling putties are the bees knees of putty, with a variety of different choices available to try. But for those of you wanting something a little bit more unusual, this glow-in-the-dark putty is perfect by lending a little light in dark places it will let you create awesome art that stands out in the dark. Light up a dark room or at least make it less dim with glow-in-the-dark putty!